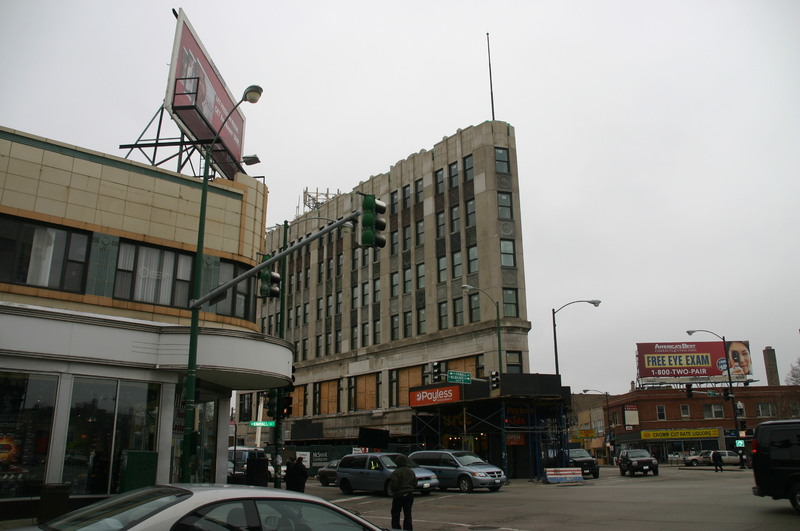 In the spring of 2010, the Chicago City Council unveiled an ambitious $15.4 million plan for the 1930 Morris B. Sachs building, a Logan Square icon and the architectural anchor of the six-corner intersection of Milwaukee, Diversey and Kimball. With the assistance of Brinshore Development L.L.C. 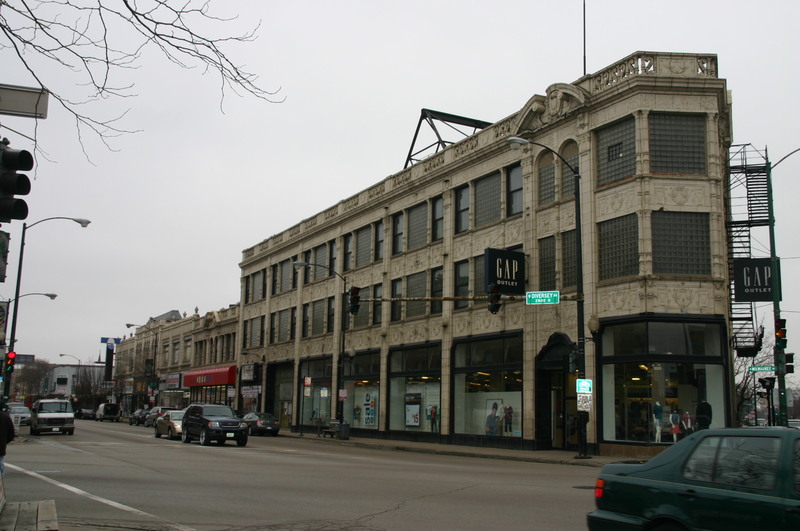 as well as the Chicago Department of Community Development the Sachs building (also known as the Hump building or ‘that other flatiron building on Milwaukee’) will be transformed into the Logan Square Community Arts Center, complete with affordable housing for artists as well as performance space. 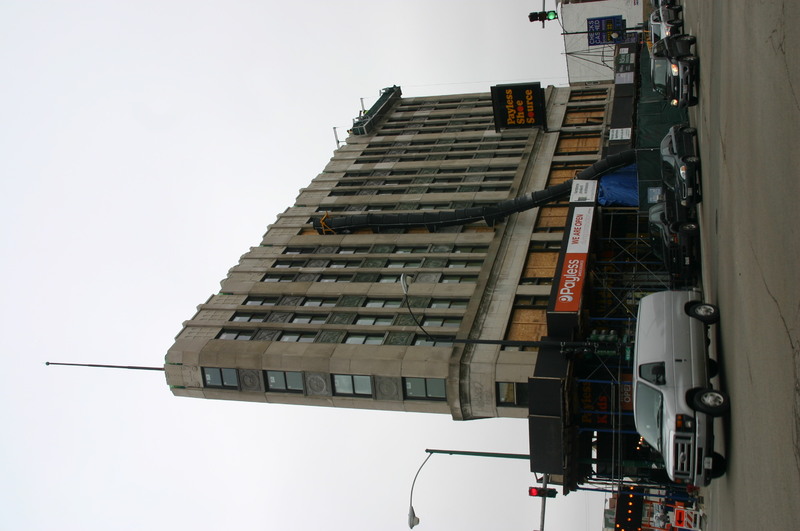 The building, located at 2800 North Milwaukee was built in 1930 by Leichenko & Esser for entrepreneur Sol Goldberg, who redesigned the ubiquitous hairpin to include a ‘hump’ and a third arm in the center to better secure strands of hair. 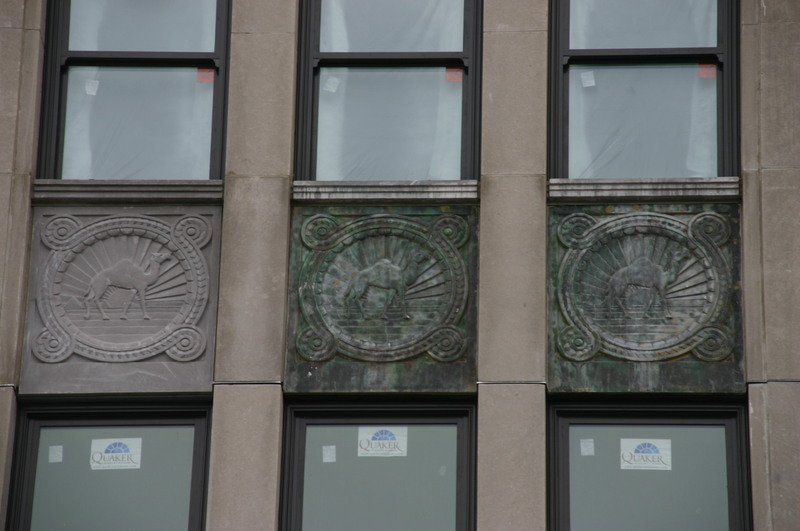 Goldberg’s invention is celebrated almost everywhere on the exterior of the building by way of a curious camel in low relief, surrounded in a deco-esque emanation of rays and waves. The building housed a variety of retail stores, and after the Morris B. Sachs department store opened in 1947 the name stuck for good. Work on the Sachs building-ahem, the ‘Hairpin Lofts’ is well underway. The building has new double-hung windows, a reconstructed cornice and the whimsical camel reliefs have been given the proper treatment, too. All of this happening after two decades of vacancy, except for a Payless Shoe Source on the first floor. This is all good and lovely in a “Save the Hill Valley Clocktower” sort of way. I like a good art deco structure for sure, but I can’t help but wonder how this radical transformation will affect the surrounding area, for better or for worse. 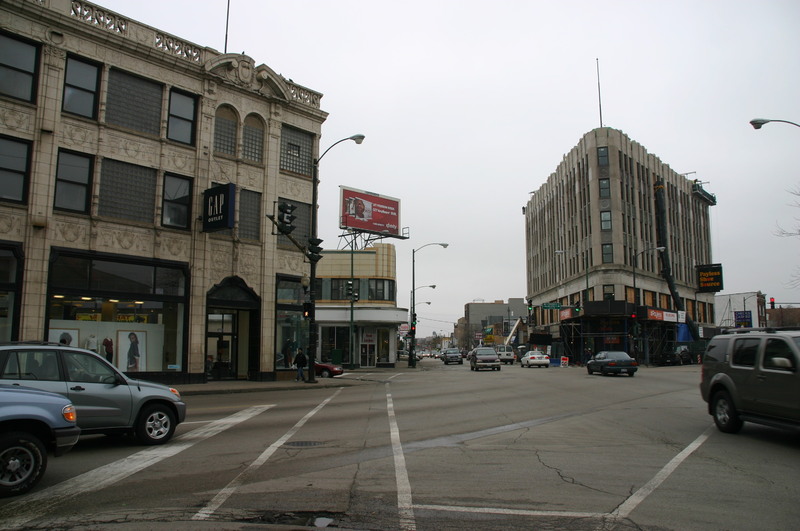 The Sachs Building is a contributing structure within the Milwaukee-Diversey-Kimball Landmark District, designated by the City of Chicago on February 9th, 2005. 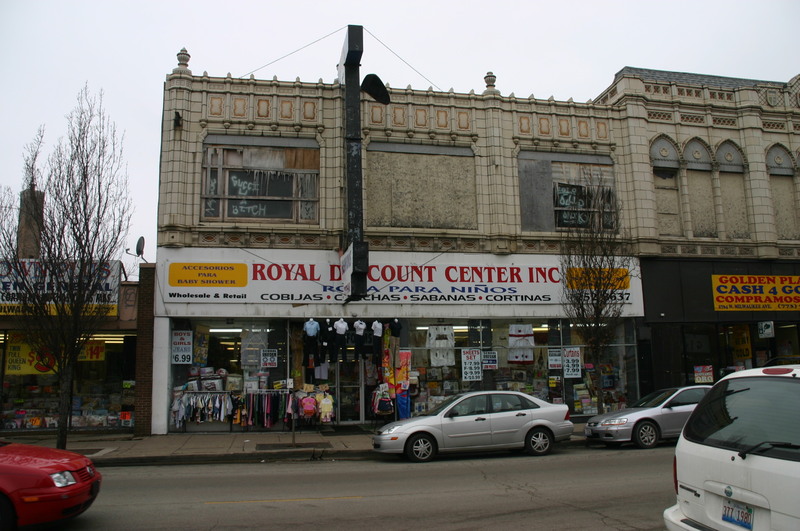 History aficionados can breathe a sign of relief; many of the architecturally outstanding gems residing from roughly Spaulding Avenue just past Diversey are relatively safe from the bulldozing effects of redevelopment. All seven of the contributing buildings in the district are characteristic of commercial thoroughfares within a neighborhood setting. Built between the 1920’s and 1930s, these structures currently house shoe stores, clothing boutiques and discount outlets, with larger chain stores anchoring the smaller ones to the south. 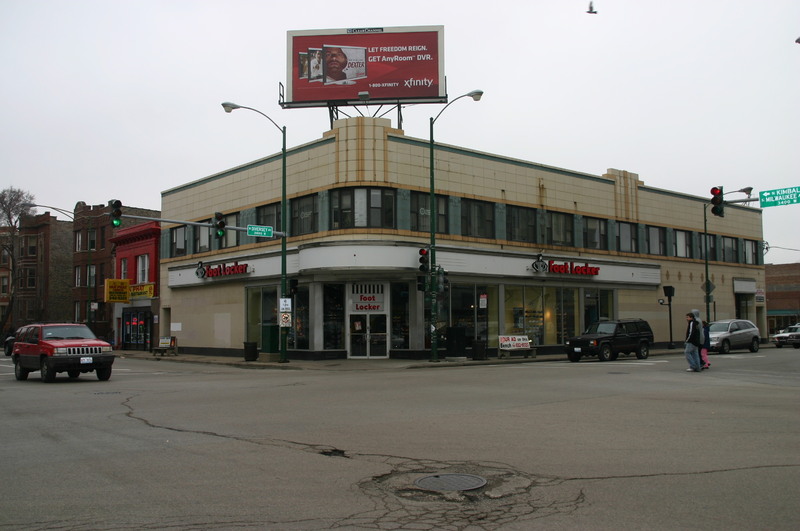 During the 1930s and 1940s, these three structures housed some of Chicago’s most important and well-known chain stores. 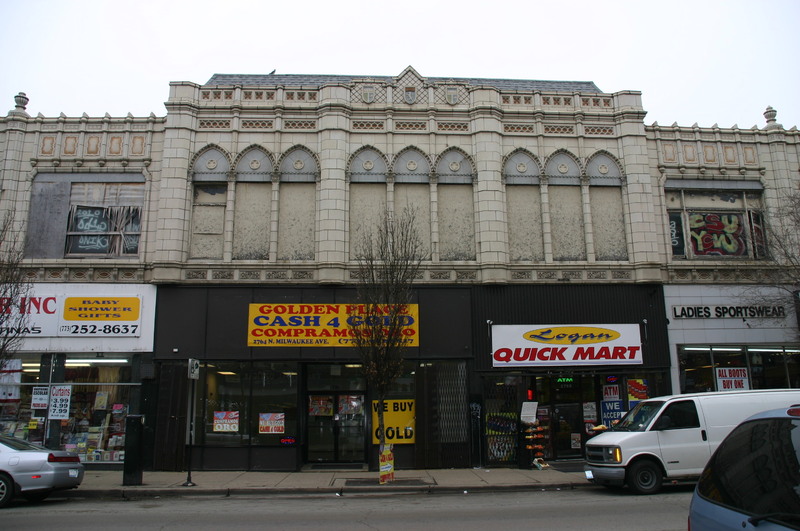 The expansive windows and classical ornamentation of the Gap Outlet once housed a Goldblatt’s. The clean Deco lines of what is currently a Foot Locker once housed a F.W. Woolworth. And there is also the districts’ main attraction: The former Morris B. Sachs building. In the past as well as today, this area is a lively commercial strip of shops, supermarkets and other businesses that fulfill the needs of those in the community. 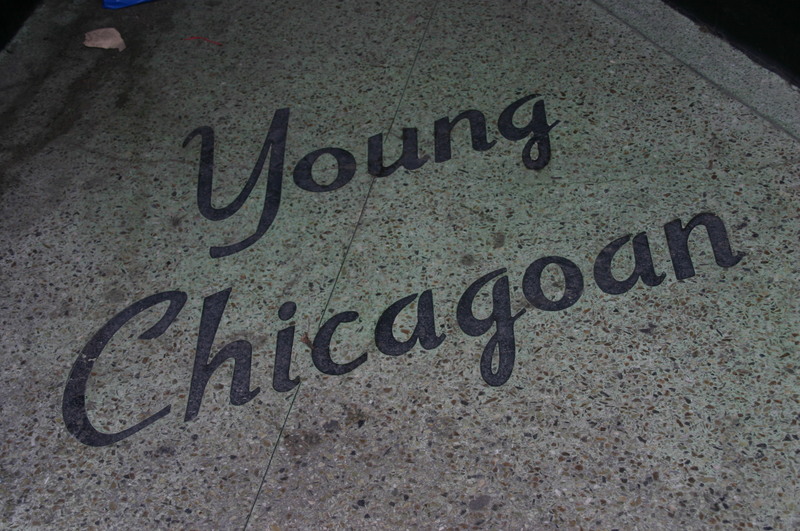 There have always been lots of reasons to move to Logan Square. The picturesque boulevards are a welcome visual and recreational respite. The mixed-bag of cultural heritage is represented everywhere in Logan Square, from its’ Cuban cafeterias and Mexican taquerias to the elegant turn of the century greystones, inspired by the architectural styles of Germany, Poland and Scandanavia. Signs read in English, Spanish and in Polish, and in 2011 one can still go see a recently run film at the Logan Theatre for three dollars. 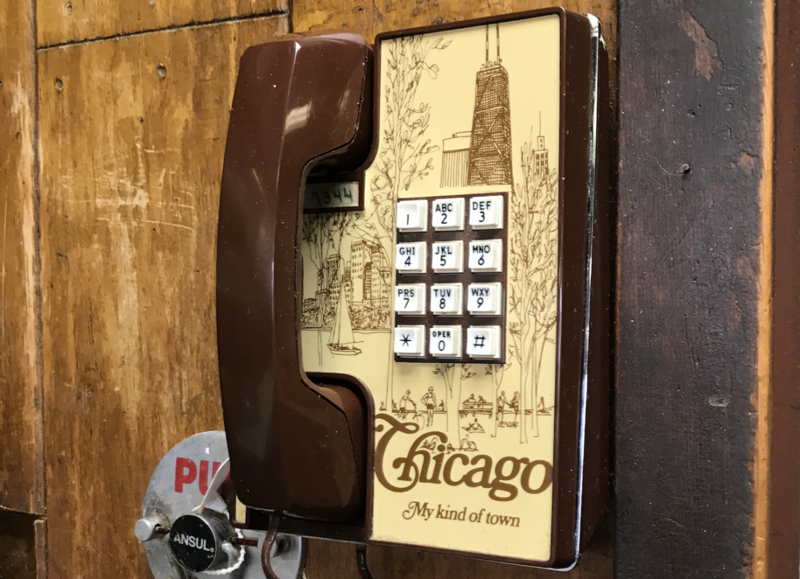 There is also Johnny’s Grill on Kedzie, a neighborhood diner with counter service straight out of a Norman Rockwell pipe dream. 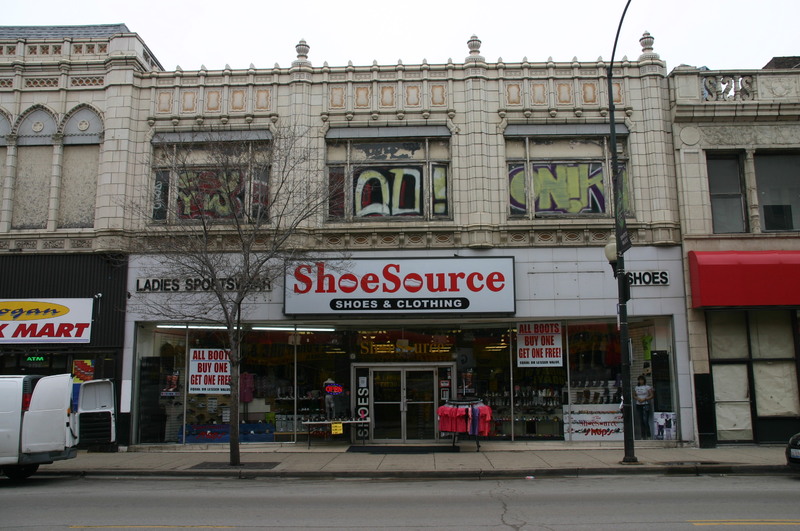 But put this in your pipe and smoke it: What is attractive to new residents of Logan Square is the non-existence of American Apparel stores, ALDO outlets and Forever Yogurts. Are we looking at images of the structures that in ten years will house American Apparels, ALDO outlets and Forever Yogurts? Will the Payless still remain relevant sitting beneath a community arts center? So what’s the right thing to do? There isn’t a clear-cut answer. Should developers stop looking into changing the cultural architecture of a community? Should cool kids and artists simply stay put where they are? Should those that live in historic, older neighborhoods simply not expect to have clean, pleasant streetscapes and city services? Community development always seems to be at odds with itself, and ultimately someone’s going to get their feelings hurt. Put your gloves up, Logan Square. You are facing some fierce competition.